 Pharmacists Mutual has been awarded a 2018 Top Workplaces honor by The Des Moines Register. The list is based solely on employee feedback gathered through a third-party survey administered by research partner Energage, LLC (formerly WorkplaceDynamics), a leading provider of technology-based employee engagement tools. The anonymous survey measures several aspects of workplace culture, including alignment, execution, and connection, just to name a few. Pharmacists Mutual Insurance Company is a nationally recognized leader in insurance and risk management services spanning professional, commercial and personal lines products. The company is rated Excellent by A.M. Best and was recently named to the Wards 50 top performing property and casualty companies for the third consecutive year. Pharmacists Mutual Insurance Company employs nearly 300 professionals through its operations across 50 states, the District of Columbia, and Puerto Rico. Learn more about Pharmacists Mutual Insurance Company and its full product line at www.phmic.com.